Is anyone feeling stressed about Christmas yet? Has anyone ever had that feeling of anti-climax on Boxing Day or soon after? This could be for one of two reasons – maybe we’re not looking after ourselves properly- it’s important to still exercise and eat healthily at this time of year- even if we’re having the odd mince pie as well and perhaps drinking up to our allowed limit! And it is important to still take time to be by ourselves- even if we are an extrovert. I remember last Christmas I thought I would do a good thing and help out in Bath with a large lunch for the lonely, but I did not enjoy it at all (even though it was still a good thing to do); I was sat next to a gentleman who was deaf in one ear- I had a paranoid schizophrenic sitting opposite me and behind me another chap who had a problem with flatulence – and then to top it all the after dinner entertainment was a man with a ukulele! Luckily I can act- so I was a good host and plastered a smile on my face. However I did not get that buzz afterwards you sometimes get when you have helped someone. I came to the conclusion that this was because my expectations were too high – the other reason why the 12 days of Christmas are often an anti-climax – this is often a problem for optimists! 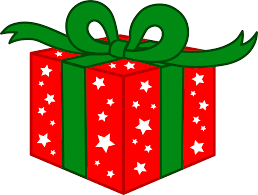 So this year I am going to spend Christmas with my children and have no expectations of how it will be- this way I think I will be able to enjoy a true Christmas gift- the present- whatever that may turn out to be. This entry was posted in Jacqueline and tagged Christmas, present; expectations. Bookmark the permalink.